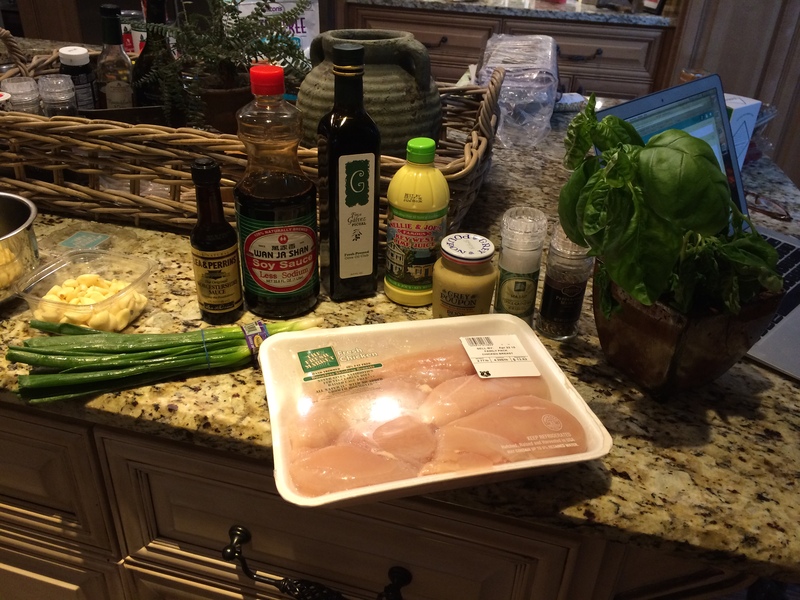 Grilled Basil Lime Chicken Dinner | what are we having for dinner? 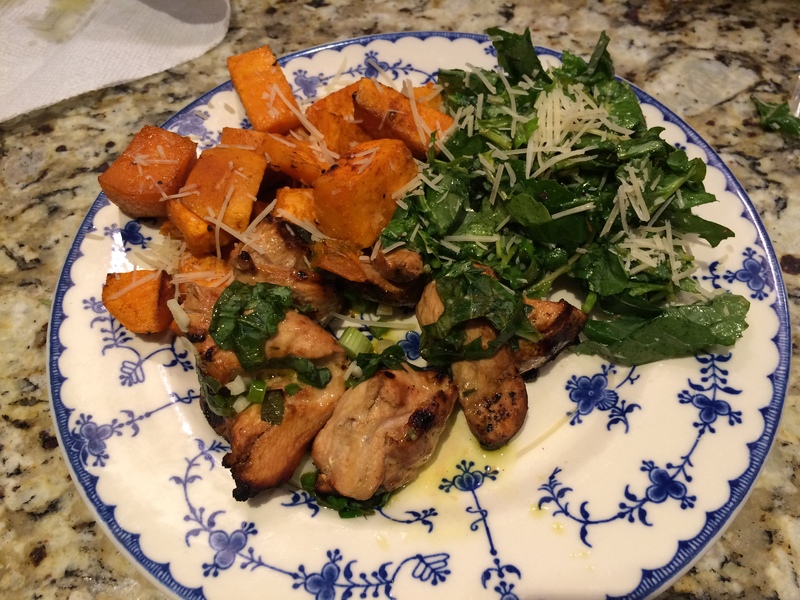 I am craving this chicken dish! I fixed it a few months ago, and my husband and I (who rarely eat all our leftovers) devoured the dish on 2 separate nights. The lime and basil combo is to die for! 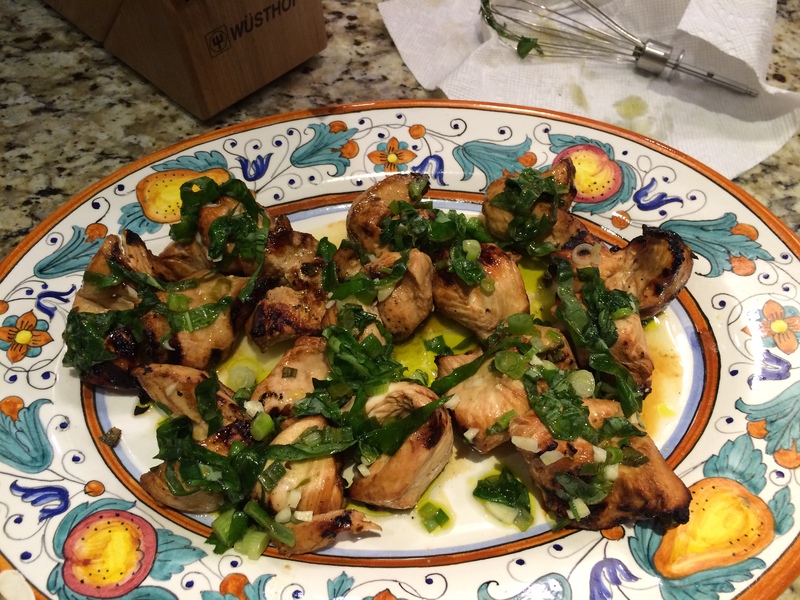 And you can either chop up the chicken and grill the pieces on skewers like I’m doing, OR you can simply grill the chicken breasts whole, then slice after cooking before pouring the basil sauce over. 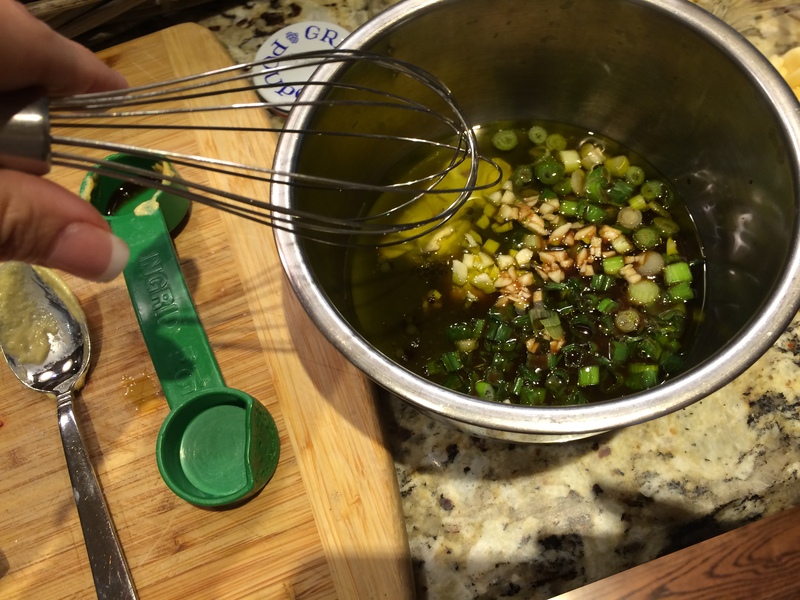 Combine the zest and juice of 2 limes, 3 TBSP Olive Oil, Dijon Mustard, Worcestershire, Soy sauce, 3 green onions, 2 garlic cloves, salt and pepper, and mix well. 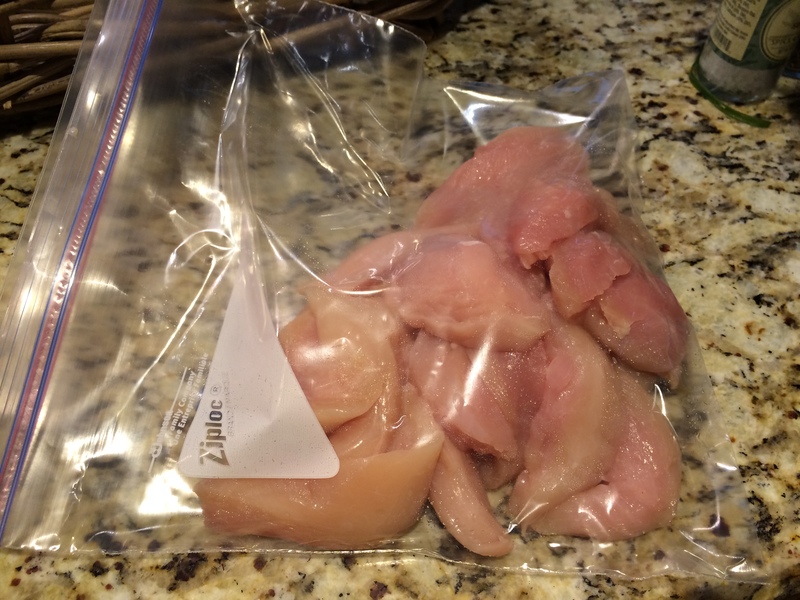 Cut chicken into even pieces, and place in a gallon sized baggie. 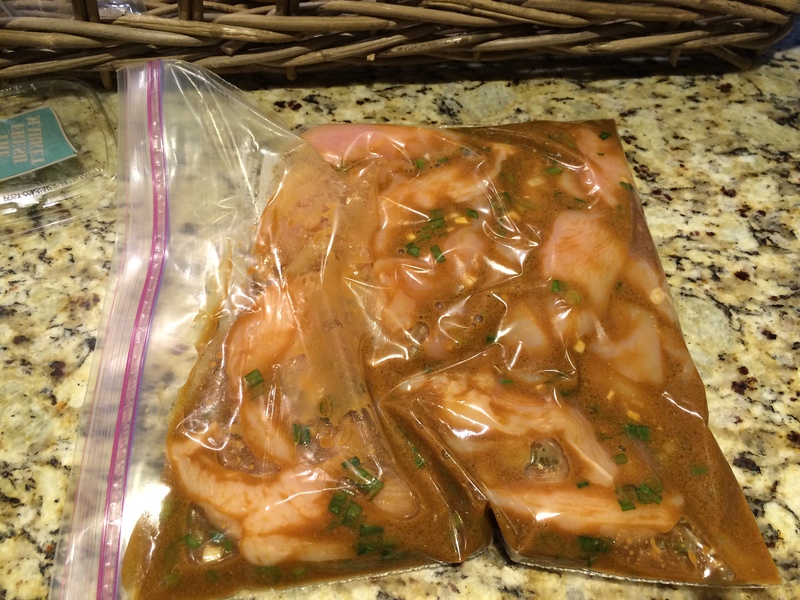 Pour marinade over the chicken and marinate for 1 hour. Preheat grill. Place chicken on skewers. Then grill for 7-10 minutes until done. Remove from grill and let meat rest. Place on a platter. Meanwhile combine juice and zest of one lime (or 2 TBSP Nellie and Joes) with 1/4 cup extra virgin olive oil, 3 chopped onions, 2 minced garlic cloves, basil. 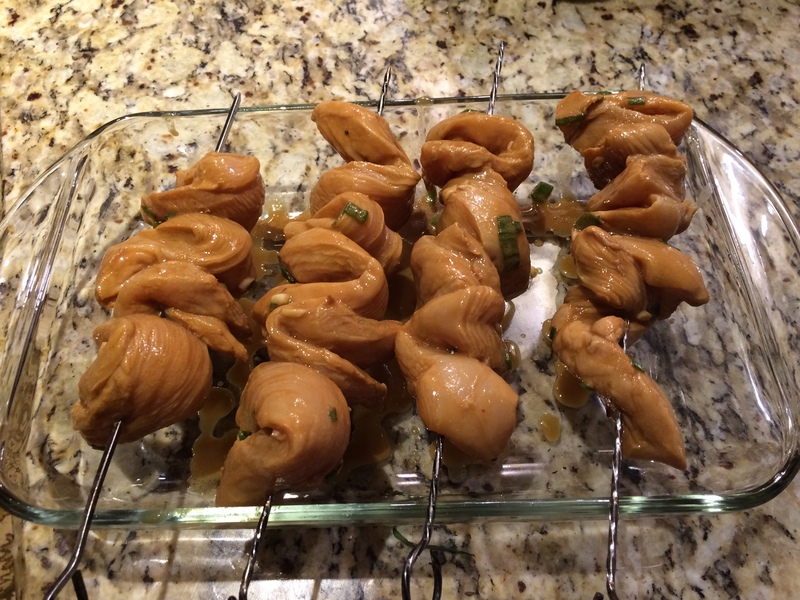 Pour sauce over top of chicken and serve. 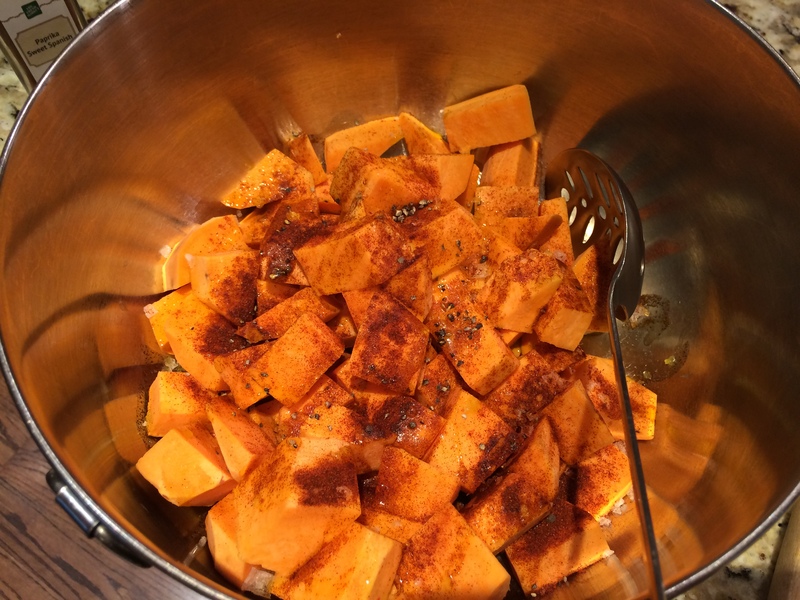 For years and years, I’ve been fixing sweet potatoes the old fashioned way – pierce them, and throw them into the oven to bake, then serve them with butter, salt and pepper and cinnamon. 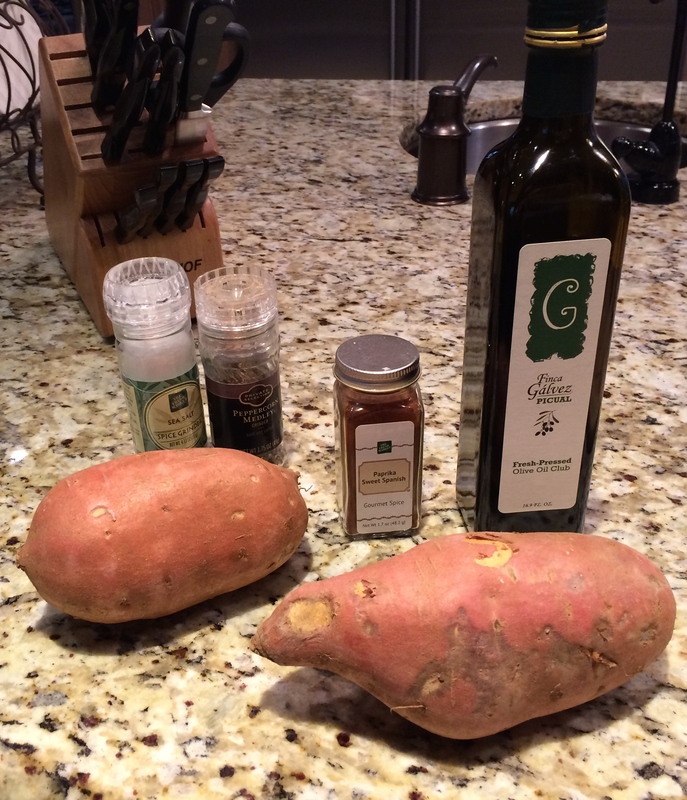 This recipe changed me forever however! The only slightly time-consuming part is peeling the potatoes, but once you’re done with that step it’s a snap and is delish! 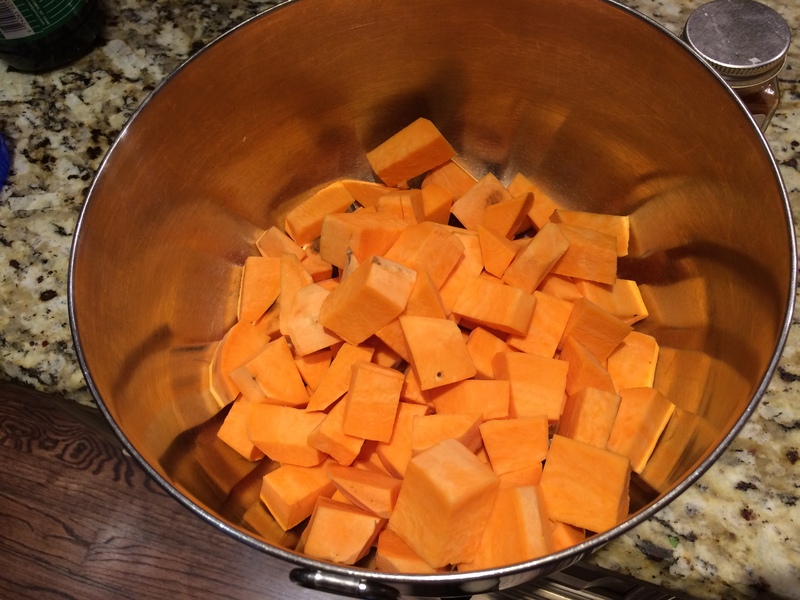 Preheat the oven to 400 degrees F. Peel the sweet potatoes and wash. Then chop the potatoes into approximately 1-inch cubes. 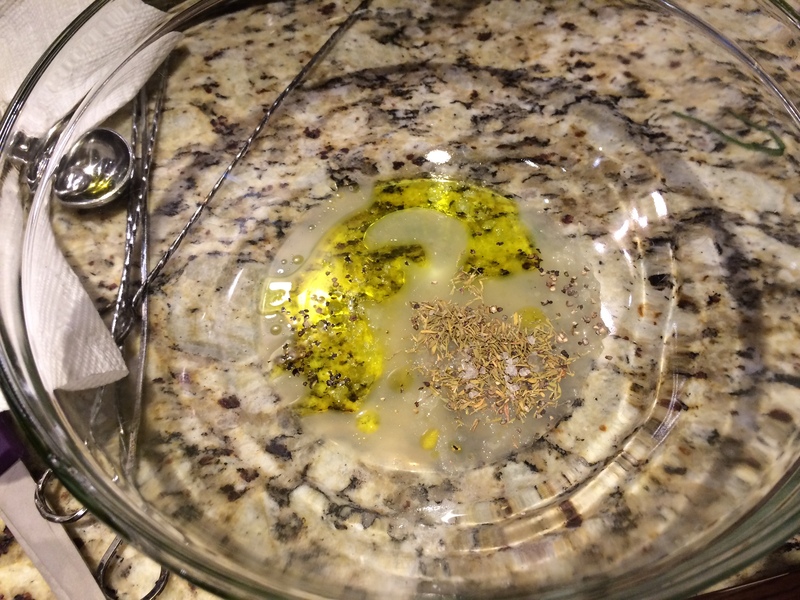 Place in a large bowl and drizzle the olive oil over (maybe 2 TBSP). Then sprinkle about 1 tsp of paprika over and a good amount of salt and pepper. 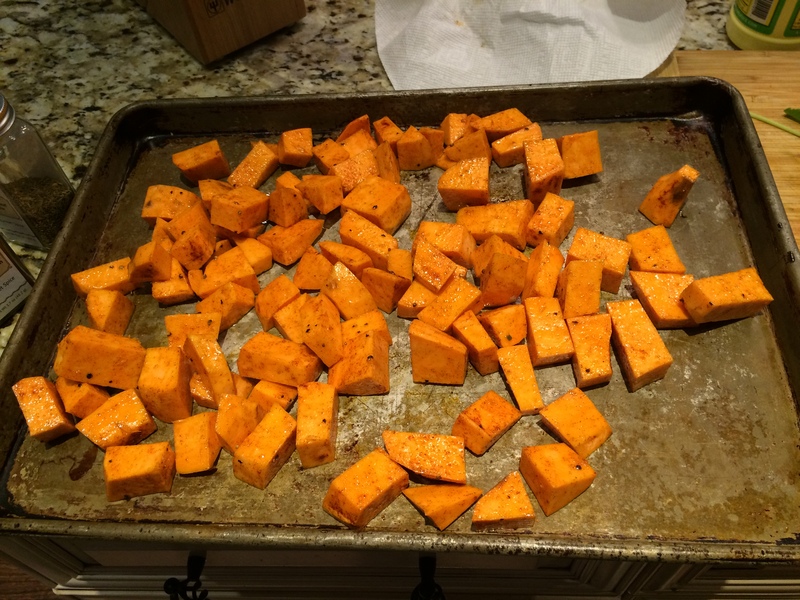 Toss the potatoes and then turn out onto a cookie sheet. Bake at 400 degrees F for about 20 minutes. Take a look at them after 20 minutes, because it depends on how large or small you chopped the potato pieces as to how long it’ll take to cook. Once they are soft, take out of the oven and serve. 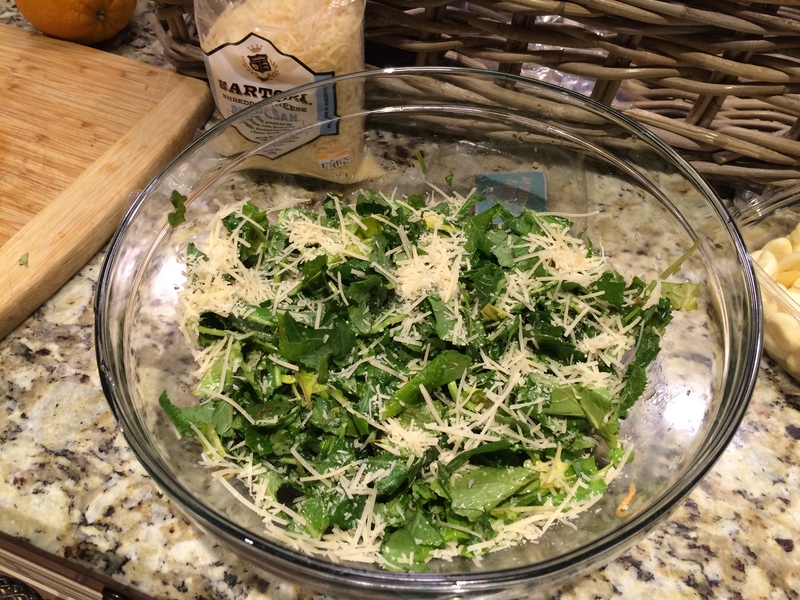 Can always sprinkle fresh grated parmesan if you like. 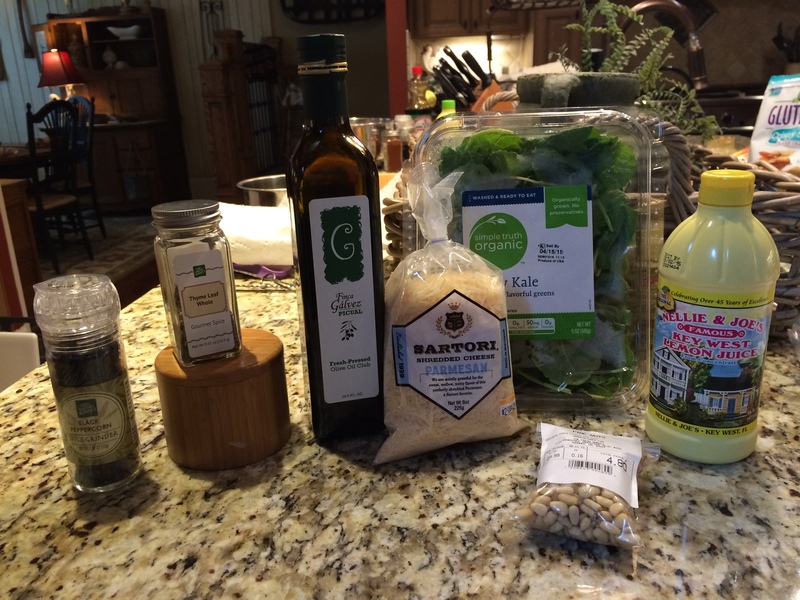 This recipe is my favorite one for kale! It’s colorful, flavorful, a snap to prepare and loaded with vitamins! 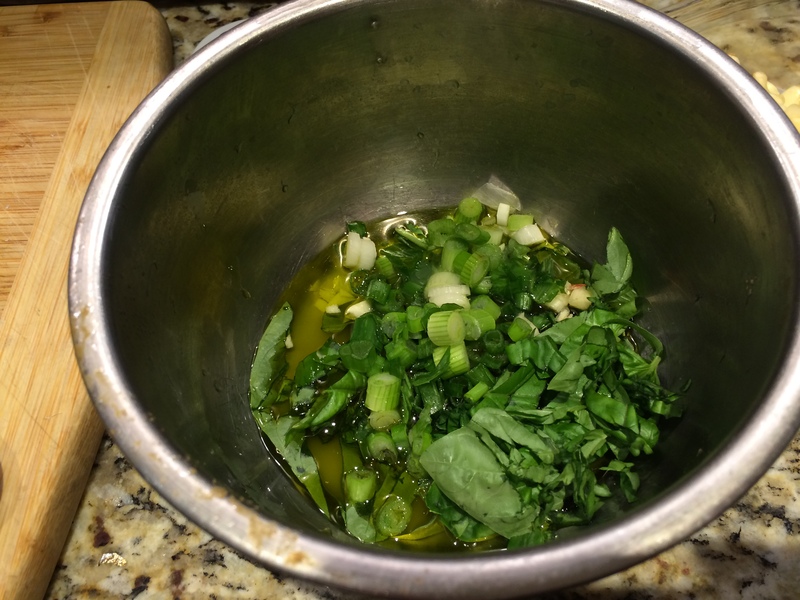 In a large bowl, whisk together olive oil, lemon juice, salt and pepper. 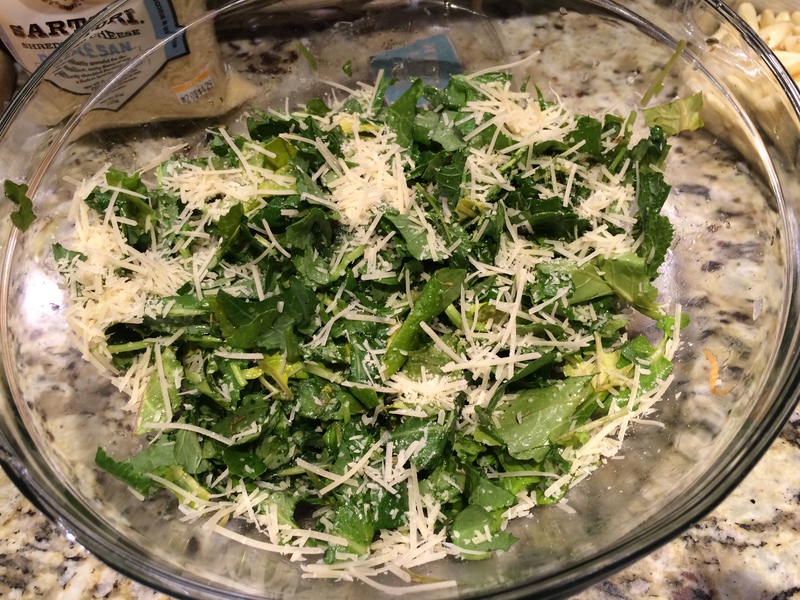 Add kale and Parmesan (and bread crumbs or pine nuts, if using), and toss until the kale is evenly coated. 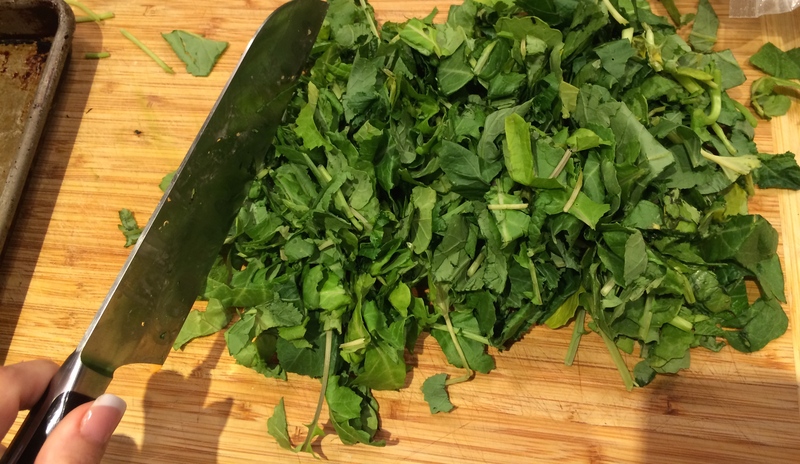 Massage the dressing into the kale with your fingers for an extra minute or two until the kale is soft and dark green. Let the oil and lemon permeate the kale for 10 minutes or so. Serve and enjoy.